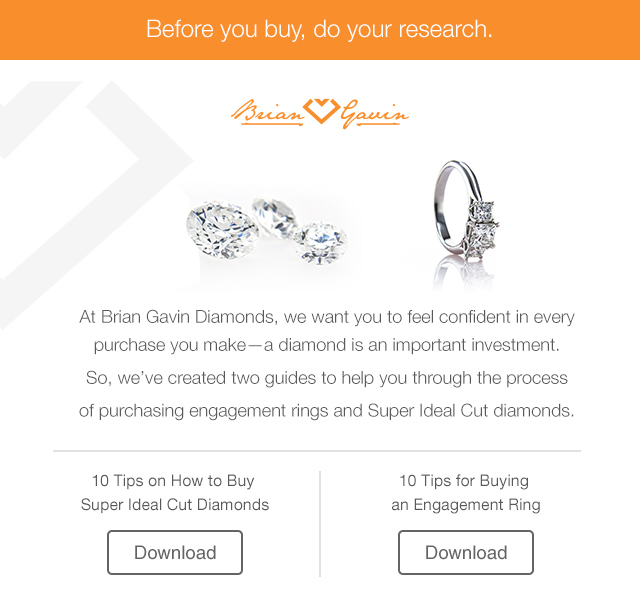 Why Shop at Brian Gavin Diamonds? It is not that often in day to day routine that you will be shopping to make a purchase of an item that is going to be an emotional, integral part of your life, and the life of someone who is most special to you, forever. When looking for that perfect engagement ring – or for that matter, jewelry that celebrates any of life's more heartfelt moments – you want someone helping you who shares your enthusiasm and completely understands the feeling and emotion that is going into this decision. That is why you should come to Brian Gavin Diamonds. At Brian Gavin Diamonds we not only understand just how special and important this piece of jewelry is to you now, and will continue to be for the rest of your lives, but we are honored and excited to be a part of making this moment happen for you. Every diamond we sell has a back story surrounding it, and those stories never get old to us. We would be privileged if you would allow us to become a small part of your story. Brian Gavin (or "Brian the Cutter" as he is affectionately known) literally grew up in the diamond business. 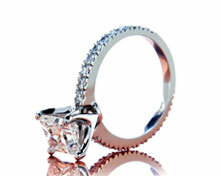 Originally from South Africa, a worldwide Mecca for "ideal cut" diamonds, Brian is a fifth generation diamond cutter. His passion for diamonds has led him to the status of one of the world's leading authorities on diamond cutting. He has been at the helm of several major innovations in the industry, developing a loyal following of business associates and clients along the way. Because when you deal with Brian Gavin Diamonds, you are not working with a jeweler whose knowledge is comprised of what his or her distributors have imparted, which is basically a string of talking points and hyperbole. When you deal with the staff at Brian Gavin Diamonds, you are talking to people who understand every aspect of what makes a diamond special, from the moment of its discovery to the point where is resides in their showcase, awaiting its opportunity to dazzle you. The combination of enthusiasm for your special moment and their absolutely unparalleled knowledge of diamonds and the diamond business make Brian Gavin Diamonds the easiest choice for ensuring that your purchase of a lifetime will continue to be special for a lifetime. Visiting Brian Gavin Diamonds through their Website at www.briangavindiamonds.com/blog is both a dazzling and learning experience like no other in the jewelry business. Our site is designed to not only amaze you with the beauty of our creations, but to educate you in every aspect of finding the diamond that is perfect for your special moment. 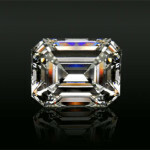 At www.briangavindiamonds.com/blog, you will find an extensive, in-depth lesson in the 4 + 1 Cs of a diamond. 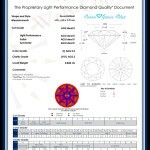 You can learn everything about the carat, color, clarity, cut/shape and cut/performance of a diamond. Some jewelers would rather you not learn all of these details, as it might equip you with the knowledge to discover that maybe their selection is not as spectacular as they would have you believe it to be. At Brian Gavin Diamonds, we want you to have all the detailed information you can about what makes a diamond unique and special. With this knowledge, we are supremely confident that you will come to understand why our jewelry is the most exclusive and beautiful you can find anywhere. It is all part of our Personalized Diamond Experience. At Brian Gavin Diamonds, we like to think that we help everyone who visits us to build a strong, long-lasting and unique relationship… Not only with the special person in your life, but with your jeweler. 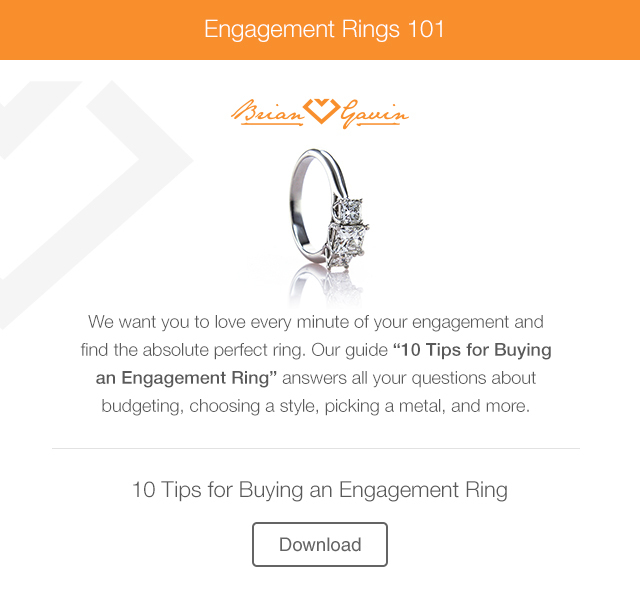 Stop by www.briangavindiamonds.com/blog and put us to the test. We can't wait to meet you. 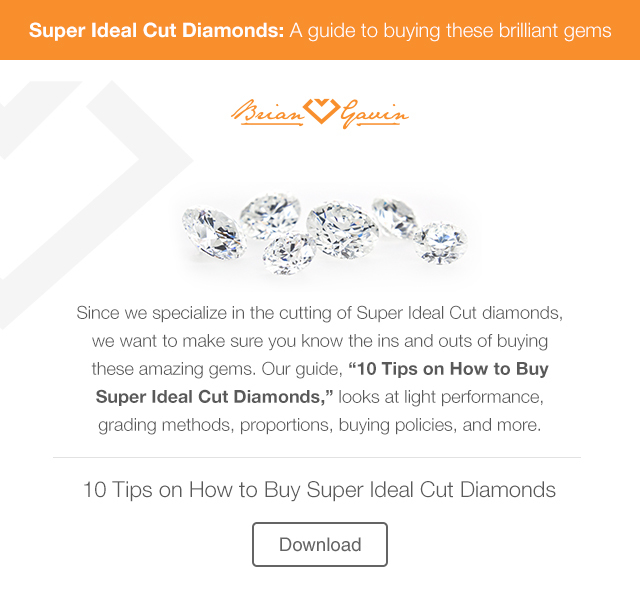 Why Doesn’t Brian Gavin List the Diamond Cut Grade for Emerald Cuts? 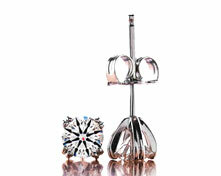 What’s the Difference Between Brian Gavin Signature and Brian Gavin Select Diamonds? This entry was written by Danny, posted on January 3 at 2:17 pm, filed under Brian Gavin Diamonds. Bookmark the permalink. Follow any comments here with the RSS feed for this post. Post a comment or leave a trackback: Trackback URL.